Some apps are configured so that your administrator defines your login credentials, some are configured so that your OneLogin credentials are automatically used as your app credentials, and others are configured so that you can define your own login credentials. 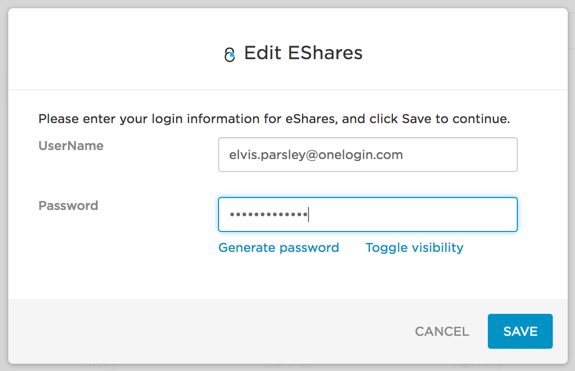 You'll know which credentials you can configure yourself by clicking the Edit button on the OneLogin portal (App Home). The apps that don't let you update your login and password are grayed-out. The ones you can update are displayed normally. Click any of these app icons to edit your login credentials.